Island Weh or more know Sabang "The Beautiful Island in Indonesia" was a small island. It was located in the northwestern part of the island of Sumatera in Indonesia. It was originally a part of the island of Sumatera before splitting doe to a vulcanic eruption. The small island was often visited by cruise ships and yachts that passed in Sabang waters, because of this small island was located in the driveway Malacca Strait. Sabang was also much frequented by foreing tourists for its natural charm amazing and no less beautiful than the other travel assets in Indonesia. The beauty of underwater was one charm and that was very attractive to tourists who visited to the island. The beauty of underwater in Sabang was very popular among divers. Therefore this island was often visited by divers from various countries. One of the places that was most visited by divers were Rubiah island marine park. 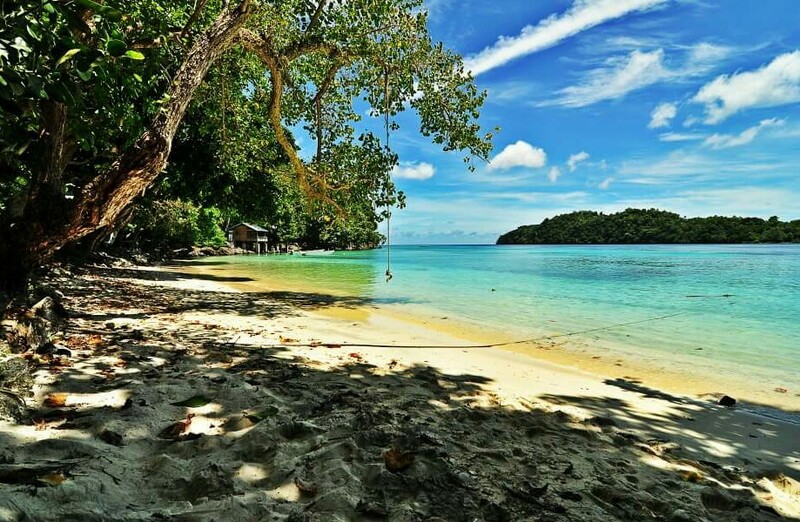 To reach the island of Sabang you could wade through the port of Ulee Lheue in Banda Aceh to the port of Balohan Sabang. There were two types of transport crossing, speed boats with mileage crossing about 45 minutes and the slow boats (Ferry) with a crossing duration of approximately 2 hours. 0 Response to "Sabang The Beautiful Island in Indonesia "